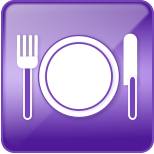 Step ahead of the restaurants in your area by going mobile. Whether it’s to fill up your restaurant on a slower night or keeping your loyal customer coming in more frequently, Mobile Marketing Strategy for restaurants is a must for your business. The number one key to success with any type of restaurant business is to have your customer feel appreciated. Statistics show that only 25% of consumers would solely return based on the food you serve. Integrating an innovative mobile marketing strategy will dazzle your consumers and surely delight them with a memorable experience. The power of a keyword & short code for restaurant industries is endless. GalaxyText’s experience in the restaurant sector runs deep. We have worked with a variety of restaurants, and have retained valuable information to help your mobile marketing strategy succeed. Our strategy is guaranteed to land your business new clients. The exposure of a mobile marketing strategy is endless and is sure to help all different types of restaurants. Get started today.